We are excited to have you join us for a night of Barn Quilt painting at Quilters Quest! DIY Sign Party will provide all class supplies and step-by-step instruction. We promise, no artistic experience is needed! After registering for the class, you will receive a link to preorder your 16"x16" sign for $33 or choose a 16"x24" customized monogram sign for $48. 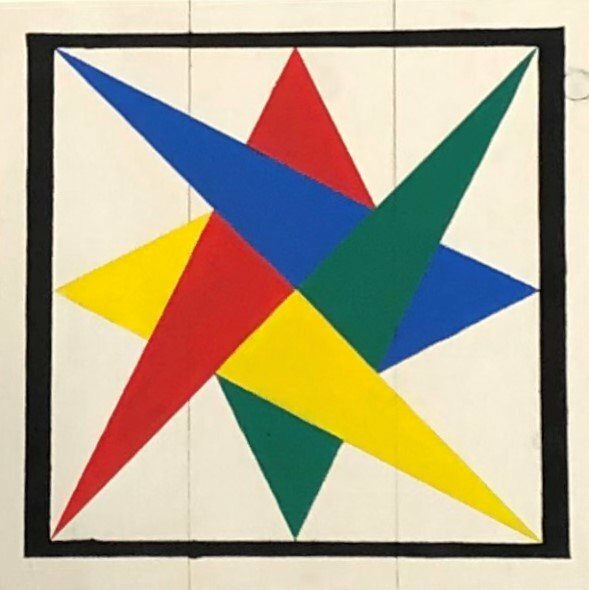 Painters will select their board color and choose from one of 11 quilt block designs, and DIY Sign Party will assemble and paint/stain the base color. At the party, you can choose from over 50 colors to paint your design. Due to the customization of designs, all sales are final. Orders are due one week prior to the event.